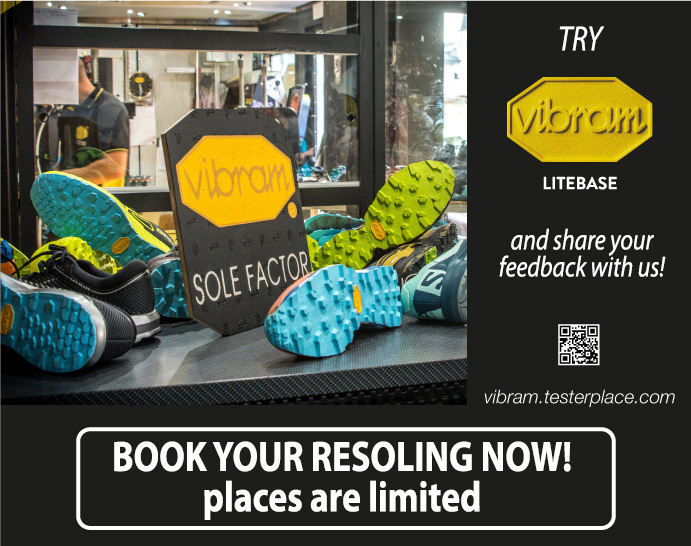 On the Vibram Sole Factor Truck, present at the UTLO Village from 19th to 20th october, it will be possible to discover the Vibram LITEBASE technology for trail running. It will be possible to get your shoes resoled for free and after a month you will be asked to fill a short survey as feedback. beware: the places are limited: book your resoling now!